Fannie Merritt Farmer edited the first brownie recipe in the 1906 edition of "The Boston Cooking-School Cook Book," according to "The Nibble," a magazine devoted to specialty foods. 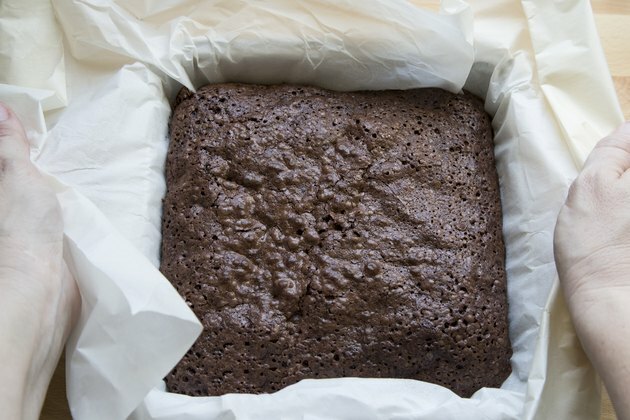 Household chefs quickly improvised recipes and techniques to make rich, delicious brownies with a consistent texture from edge to center. 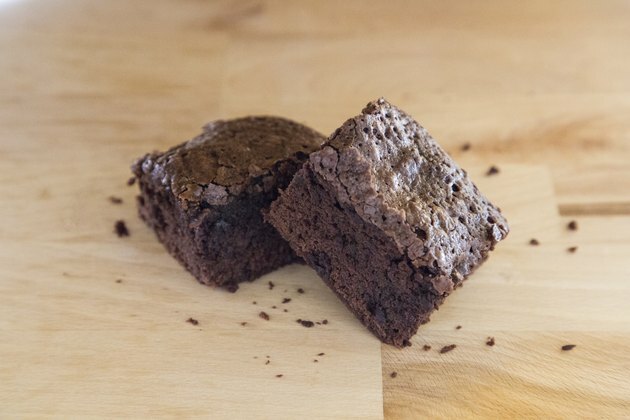 Today's food distributors deliver premixed brownies in packages printed with clear baking instructions, making packaged brownie mixes almost impossible to ruin. Despite the advantages of modern technology, employ a few tricks to keep brownies from getting hard around the edge of the pan. Prepare the brownie mix as directed and use the pan size indicated in the recipe. Baking brownies in a pan that is too large results in a thin, easily burned product. Using a pan that is too small ends up with burned edges and a raw center. 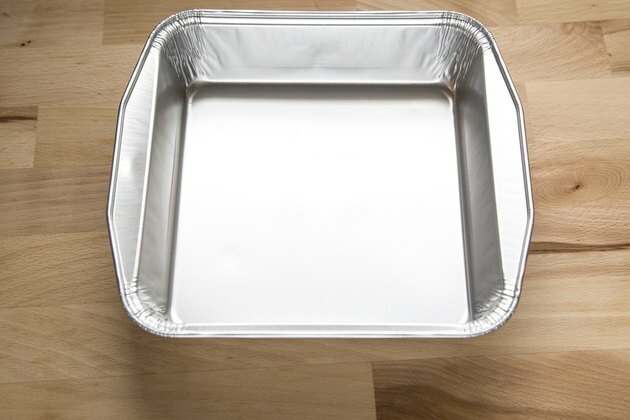 Select a light-colored, shiny baking pan. Baking brownies in glass or darkly colored pans often results in hard or burned edges. Grease the bottom and sides of the pan with nonstick cooking spray. 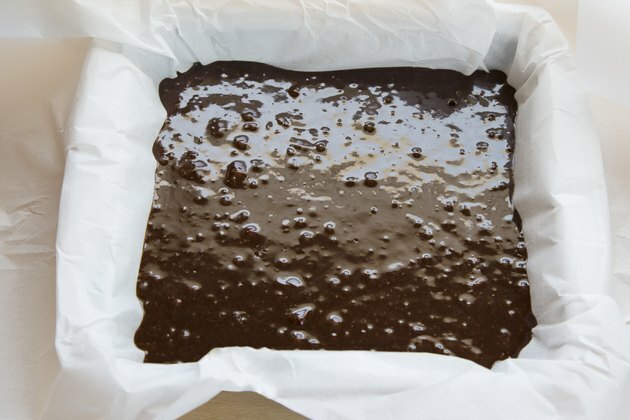 This layer acts as insulation between the hot pan and your brownies, preventing your food from burning as a result of direct contact with the hot pan. 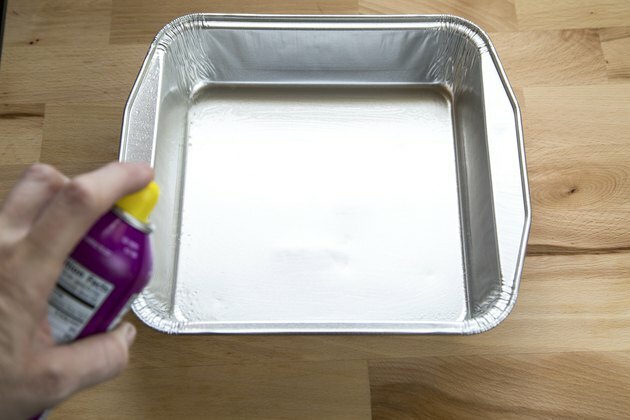 Cover the surface of the pan evenly, leaving no dry areas or large globs of spray. Secure a piece of parchment paper about a foot longer than your pan. Lay the parchment paper in the bottom of the baking pan. Arrange the paper so that it hangs out a few inches on each side of the pan to act as handles large enough for you to lift the brownies out of the pan. Spray only the parchment paper serving as the bottom of your pan -- do not spray the sides, so the brownie mix can rise properly. Bake brownies only as long as directed. 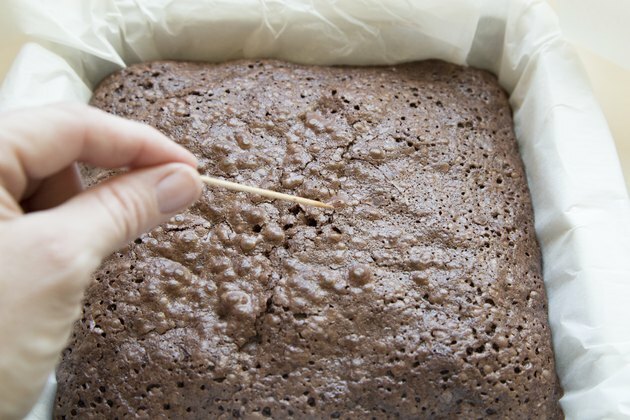 Remove the brownies from the oven when a toothpick inserted into the center comes out nearly clean, with a few crumbs sticking to the toothpick. Baking brownies until the toothpick comes out completely clean results in an over-baked product with hard edges. Fill the large baking dish with about one inch of room temperature water. Carefully place the metal brownie baking pan inside the larger dish. This cools the baking pan and stops the cooking action that leads to hardened edges. Additionally, the brownies pull away from the sides of the warm pan, which hardens them. Leave the baking pan inside the cooling pan for roughly 15 seconds. Lift the baking pan out of the cooling pan. 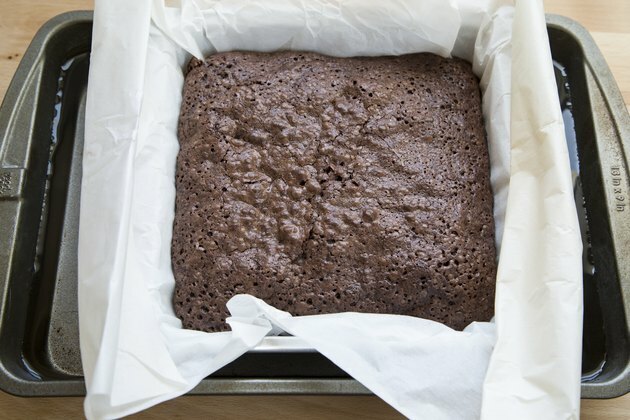 Grasp the parchment paper with both hands and lift the brownies out of the baking pan. Quick removal prevents the brownies from drying out. 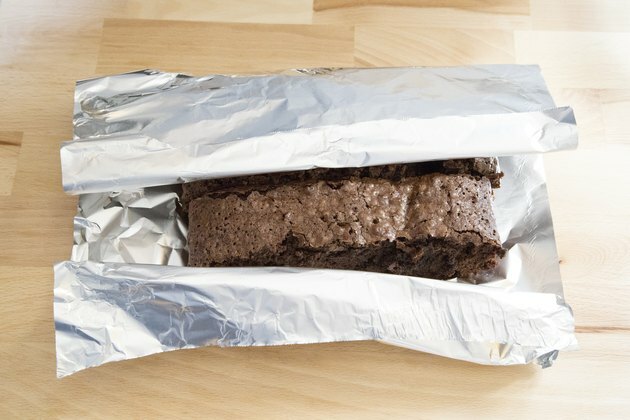 Wrap the brownies in aluminum foil or place the dessert inside an air-tight container. Air dries out brownies, especially those edges that endured the direct heat from the baking pan. Leave the brownies at room temperature unless you used perishable ingredients such as cream cheese.